Q1. 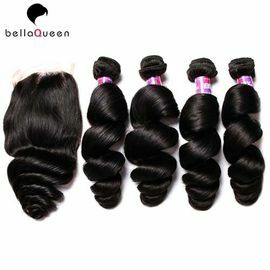 How Much brazilian loose wave human hair Do I Need? Q2. Why are my brazilian loose wave human hair getting tangled? go to your stylist for further suggestions. Q3. How long does brazilian loose wave human hair last? care of it, then normally it could last longer than 1 year. You could dye the virgin remy hair if you need different colour. Q6: Can I dye/color the brazilian loose wave human hair? loose wave human hair in competitive price. a salon, please always use a good quality products and test a small sample first. have very few gray hair and split ends. It is normal and not a quality problem.